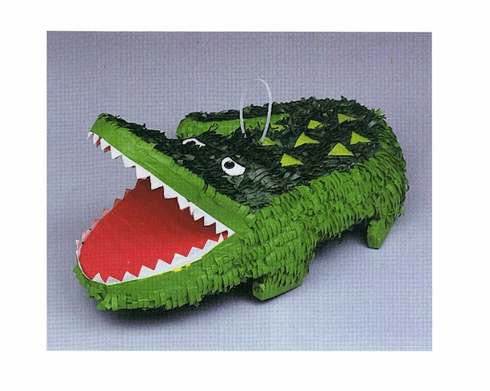 This alligator pinata will be the ''hit'' of the party. Size 18'' x 13''. Fill with treats of choice (not included) such as wrapped candies or small soft toys, and hang from a sturdy support with a strong rope.